MOSCOW, April 9. /TASS/. 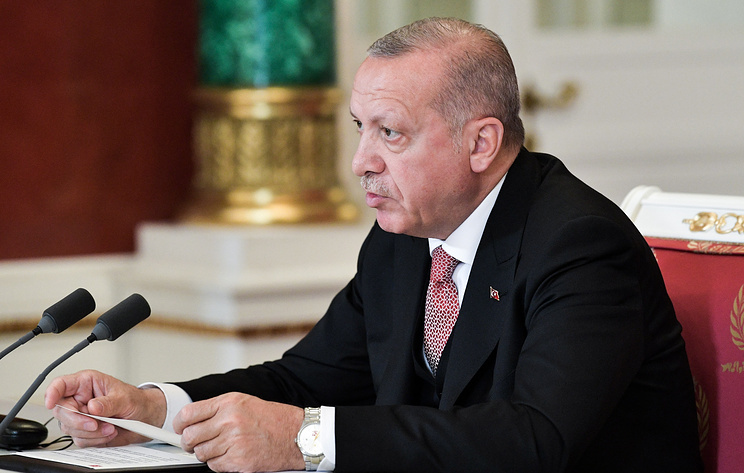 Turkish President Recep Tayyip Erdogan may have adopted a tough stance on the issue of Russian gas prices at Moscow talks with Russian President Vladimir Putin to show Washington that Ankara remains an independent player despite purchasing S-400 missile defense systems from Moscow, secretary general of the Russian segment of the Russian-Turkish Public Forum Sergey Markov told TASS on Tuesday. Erdogan said he expects gas price discounts from Russia. However, Putin pointed out that fuel prices are determined by the market. "There are political undertones in the debate on gas prices. 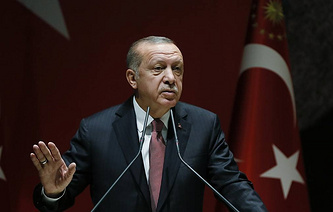 Erdogan wants to show Americans that it is not like he has bad relations with Washington and good relations with Moscow, but rather that it is tough for anybody to hold talks with him, that he has difficult relationships with everybody. Nothing personal, so to say," the expert noted. Markov said that one should not rush to conclusions after Moscow and Ankara had some disagreements on gas prices. "I would describe the results of the meeting between Putin and Erdogan as preliminary. Russia and Turkey are currently developing their partnership, and many different issues arise because it is impossible to always agree on everything. There are always disagreements," he said. "There were positive results in the sphere of military-technical cooperation, which indicates that everything will go smoothly with the deal on S-400," Markov continued. "The presidents agreed to expand cooperation in this sphere. Our countries may even organize joint manufacturing of this missile defense system. Russia manufactures S-500 already and has almost completed developing S-600, so they are not our competitors in this field," Markov stressed. The expert also noted the importance of cooperating in the sphere of nuclear energy, especially in the construction of the Akkuyu nuclear power plant. "This project is very important not just for the next few years, but for decades," Markov said. Head of the Center for the Middle East at the Russian Institute of Strategic Research Vladimit Fitin thinks that one should not assign great importance to disagreements on Russian gas prices. "We are talking about the market, there is competition, and everybody tries to get the best deal," Fitin said. The expert noted that the situation in Syria is among the main disagreements between Russia and Turkey. "The key issue for Turkey is to secure their north-eastern border. Russia cannot provide support in this sphere because Moscow thinks that the authorities in Damascus and the Syrian army should be responsible for controlling the border," Fitin explained. He reminded that Moscow's main interest lies in eliminating terrorists in the Idlib province, while Ankara does not want military operations in this area. "If a new military operation starts, the number of refugees fleeing to Turkey will grow considerably, and it may become a serious problem for Ankara. Moreover, Turkey thinks that the part of the opposition that they support maintains its influence in Idlib," Fiting said.